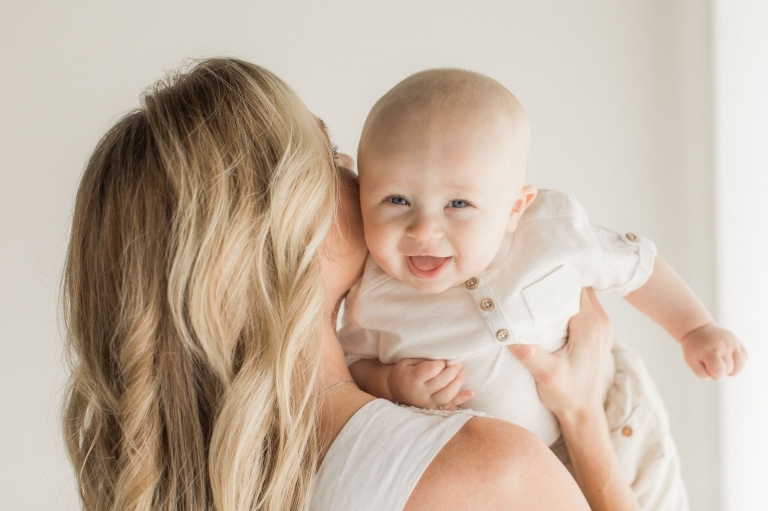 Baby and mama studio photographs are always the absolute sweetest! The studio lends itself to creating such pure, natural photos of babies, keeping the emphasis on those adorable baby details and interactions with the one he loves the most. Contact Amy to schedule your baby’s milestone session. Lovely clothing provided by the studio wardrobe.